The Arco Calypso isn’t a pump you may have heard about before. Who is the company behind this small, quiet, and yet powerful pump? Ardo is a Swiss company that was founded in 1985. 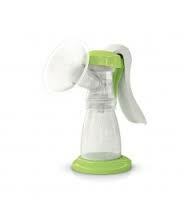 The UK subsidiary Ardo Medical was formed in 2008 which makes Ardo a newer contender in the breast pump market. The Calypso models are just a few pumps Ardo has which includes both single and double pumps. They also make a line of hospital grade pumps under their Essentials line. The Ardo Calypso electric pumps are marketed as the quietest pump motors on the market, which is said to be as quiet as a whisper. I would have to agree that this pump is insanely quiet. It really is more of a hum than anything. Certainly much quieter than say a Medela pump. Despite being discrete, the pump features 64 different combinations of speed and suction which allows moms to have more control over their pump experience. One thing lacking on this pump, however, is an automated feature that switches to letdown mode. The Medela pumps, for example, have their two-phase technology that the pumps automatically follow. With the Calypso, you would need to manually control the suction and speed to achieve the same pattern. To manually do this you would need to set the speed faster and suction lighter in the beginning which mimics how a baby starts out nursing. Then, once your milk starts flowing (letsdown), set the speed lower and the suction higher to mimics your baby’s deep sucking once your milk has let down. Click here to read more about how to make the most of your Letdown to pump more milk! This isn’t hard but it can be cumbersome if you are holding the two breast shields in place since you have no free hand to control the settings. I would recommend getting a good hands-free pumping bra if you entertain the Calypso. 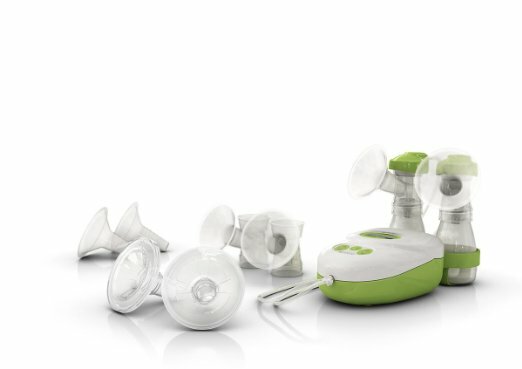 Ardo also features a 400-hour warranty (or one year – whichever is better for mom) which is a great option since moms spend a lot of money on breast pumps and want to ensure it is reliable. One thing worth highlighting about the Calypso is it tries to cater to all moms by including three different size breast shields and has more sizes available for purchase in hopes of giving moms a more personalized fit. This is something to pay attention to because a breast shield that doesn’t fit properly can influence how much or how little milk you pump. There is also an insert of the breast shields called the Optiflow. It is a message insert designed to provide a cushion for a more comfortable pumping experience. Some moms said this made the breast shield too small so do not rely on this feature if you are looking for a softer breast shield as a must for your pump. This video is a great walk through of the Ardo Calypso and its key features. You can see how simple it is to switch from a double to single pump and using the different size breast shields. One thing that stands out to me in this video is the fact you hardly hear the pump running when she turns it on. It truly is a quiet pump. What you get: Calypso breast pump, 2 pump sets with flanges (26 mm and 31 mm), 2 breast flange inserts (28 mm), 2 Optiflow 26 mm, brush for cleaning, bottle holder, battery compartment, power adapter, 2 lip valves (spare part). What you get: Calypso breast pump, 2 pump sets with flanges (26 mm and 31 mm), 2 breast flange inserts (28 mm), 2 Opt flow 26 mm, brush for cleaning, bottle holder, AA battery compartment, power adapter, 2 lip valves (spare part), breastfeeding bag complete with cooling bag, cooling elements, 6 milk bottles and Amaryl operating lever (allows pump to be converted into manual pump). One of my favorite features of the Calypso To Go bundle is the fact it includes the Amaryl Lever which allows the pump to also be a manual pump. I often carried a manual pump as a backup in case something happened to my electric pump (power goes out, no power cord, batteries die, etc). Aside from the other add-ons like the tote, cooler, and bottles, the addition of the manual feature makes the upgrade worth it in my opinion! This pump has a lot going for it. 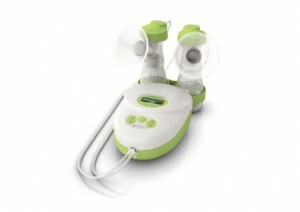 I loved the quiet pump motor, the multiple breast shield sizes, and the massage inserts. I do wish the pump had a letdown feature, but once you learn how to properly use the controls to make the most of your letdown, then it is easy peasy. that the pump lost suction, or they were not able to get enough milk. A lot of review on the Ardo Calypso also report that the pump lost suction when using it on batteries for an extended period of time which affected their milk output. I have not personally tested this but I will say that most portable pumps work best when their battery power is over 50%. Many start losing suction quickly when the batteries are too low. It is best to keep the batteries fresh and replace them often. 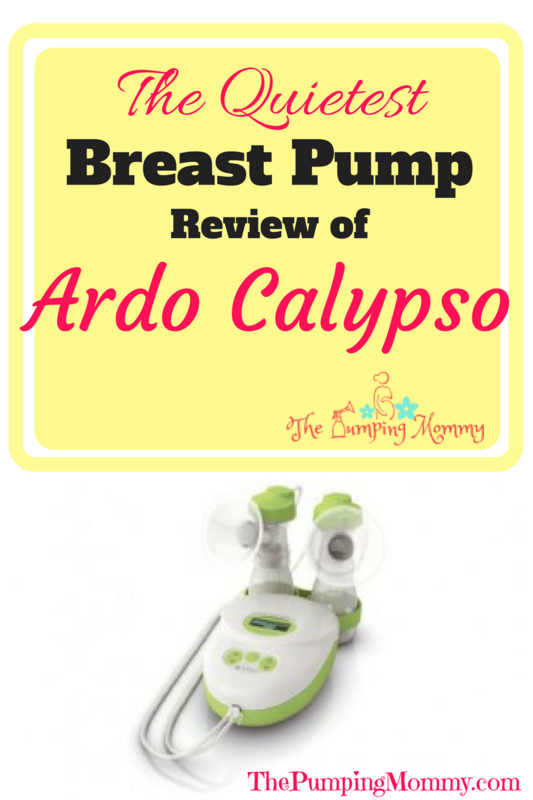 I found that pumps like the Ardo Calypso and Medela Pump in Style that use disposable batteries have lower suction than those with a built-in rechargeable battery like the Medela Freestyle, Spectra S1, or Milk Genie. Worse case, they included the manual lever for you to manually pump… So there’s that. Overall, the Ardo Calypso has impressed me. For the price, the options that are included far outshine other brands within the same price point. If you are looking for a good pump at a great price with lots of extras, then this is a perfect pump for you! 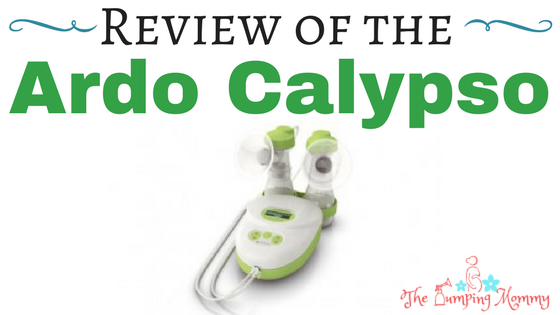 Have you used the Ardo Calypso? Have questions about this pump? Leave a comment here! Read: Want a stylish nursing cover? 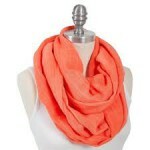 Check out these Nursing Scarves! Read: Returning to work? Need a Pumping Schedule? Check out a Sample Schedule here! Read: Looking for a great Pump Bag that looks like a purse? 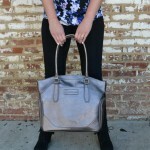 Check out this Sarah Wells Pump Bag!